The Pool House: Your Ultimate San Diego Getaway! If you’ve ever been to San Diego, then you already know that it’s basically heaven on earth. With its sunny skies, beautiful beaches, friendly people, and easygoing vibe, it’s no wonder that it’s such a destination for travelers from all around the world. Of course, it should come as no surprise that San Diego residents count their blessings every single day to live in such a magical slice of the world! Regardless of your current geography, San Diego–and The Pool House, within this fair city–should absolutely be on your must-visit list. Here, we’ll offer some of the top reasons why San Diego is a vital destination, and why The Pool House is a necessary getaway! 1. It’s perfectly situated. California’s second-largest city is located on the Pacific Ocean, just north of Mexico. Easily accessible by all manner of mass transit including bus, train, plane, and by car, this glistening jewel on the California coastline has proximity to the beach and plenty of culture. 2. The weather is perfect. No joke: when most people describe the weather in San Diego, more often than not, they use the word “perfect”. Sure, it gets chilly in the winter (40-50 might be the lowest lows), but nowhere near as cold as the many other parts of the USA! In the summer, San Diego is spared uncomfortably high temperatures, with most days in the moderate 70s. Oh, and did we mention that San Diego is sunny more than 260 days a year? 3. The beaches. San Diego is stunning, and not just because of the weather. The natural beauty is simply staggering! It’s impossible to resist the allure and romance of the San Diego coastline, which appeals to sun worshippers, surfers, and nature enthusiasts alike. Whether you’re taking a romantic boardwalk stroll with your sweetie, hiking along the coast, or playing with your pooch at Dog Beach, there’s a beach experience perfectly suited for every style in San Diego. 4. Fascinating history. Did you know that San Diego is considered the “birthplace of California”? Old Town marks the first Spanish settlement, which dates back to the 1760s. San Diego is also the site of some of the first majestic California missions. Many of the structures in Old Town have been preserved, and you can still take in some of this history today. History buffs also shouldn’t miss Balboa park, which still houses structures from the Panama California Exposition of 1915! 5. The food. San Diego has an exciting and thriving culinary scene. 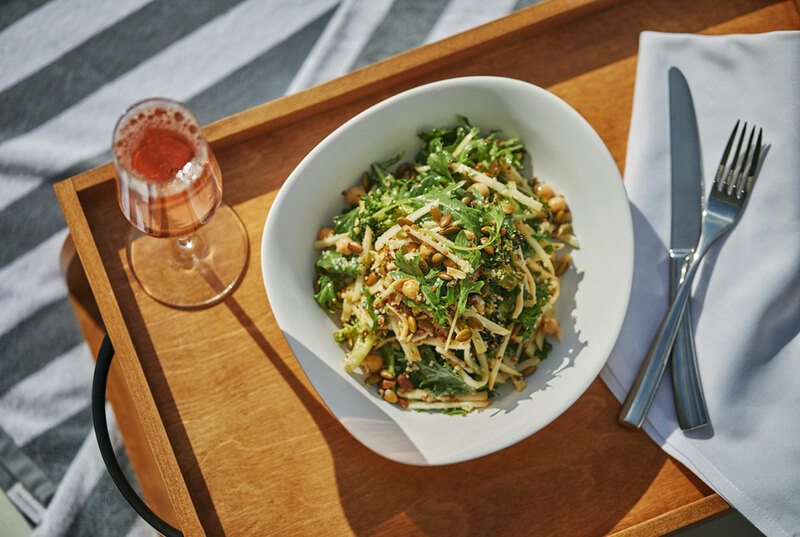 The San Diego style of cuisine marries elements of coastal cuisine with California cuisine, resulting in fresh, flavorful food that tastes like sunshine (no joke). If you come to San Diego, you simply must take advantage of the fantastic produce, freshly caught seafood, and vibrant veggies featured in the many excellent eateries! Now that you’re sold on San Diego, let’s discuss why The Pool House needs to be your top destination once you arrive! 1. Two words: Gaslamp Quarter. 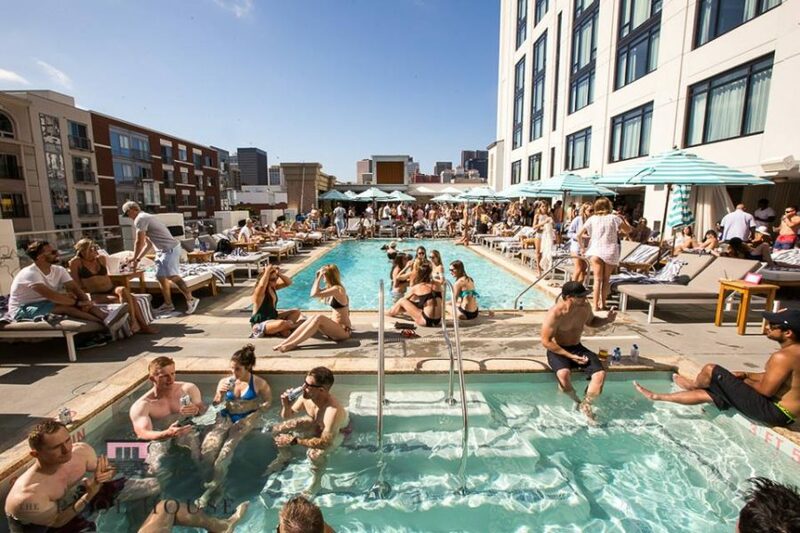 The Pool House is located in an undeniably amazing neighborhood known as the Gaslamp Quarter. In its 16 ½ block span, you’ll find incredible Victorian architecture, oodles of history, world class restaurants, nightclubs, and plenty of unique entertainment options. Walkable to and from Downtown San Diego and in close proximity to the Convention Center, Petco Park, and Horton Plaza, it’s an accessible destination by mass transit as well. It’s a must-visit part of San Diego! 2. The most beautiful views around. The Pool House is an outdoor oasis, featuring dramatic city views. 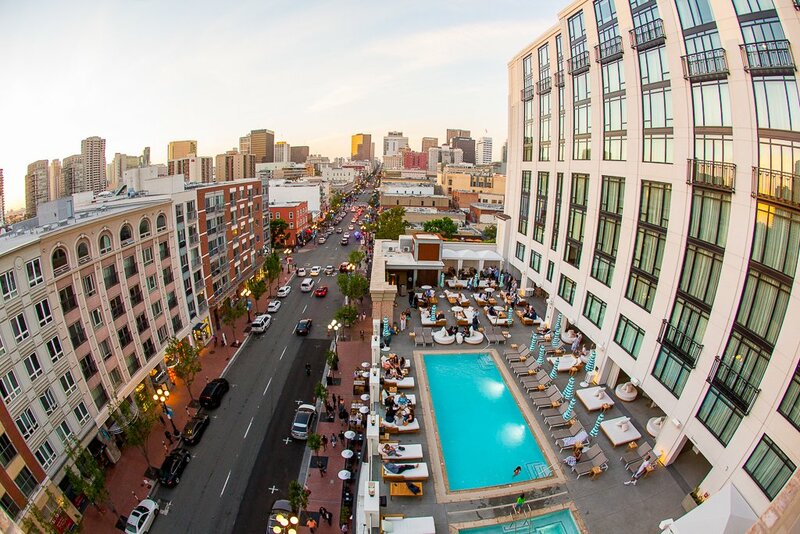 Located on a rooftop above the swanky Pendry San Diego, you can take in the energy of the bustling Gaslamp Quarter from a relaxed and serene indoor/outdoor space. Enjoy the sunny skies as you enjoy lunch, or take in the city lights as the sun goes down. You’ll always have stunning views at The Pool House! 3. Daybed and cabana service! Go ahead, be a VIP and take advantage of our daybed and cabana service. The service includes quick and easy entry to the venue for you and your entire group; you’ll be whisked directly to your own daybed or cabana, where you’ll enjoy private wait-service, bussing service, and a security staff. 4. Incredible food and drink. San Diego is a great food city. 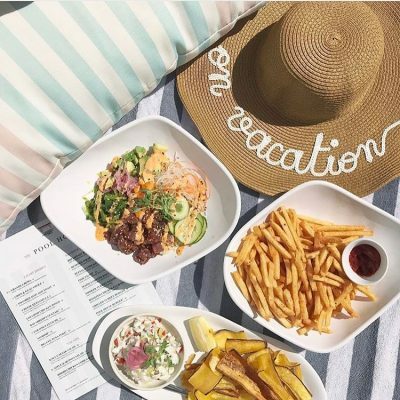 The Pool House’s menu features the perfect mixture of coastal cuisine and California style cuisine, making for food that will make you feel good. We have plenty of options for every type of diner, from delicious gluten free dining options to classic American favorites like our cheeseburger and fries. Of course, we have an extensive and well-curated cocktail list, too! 5. Awesome entertainment! 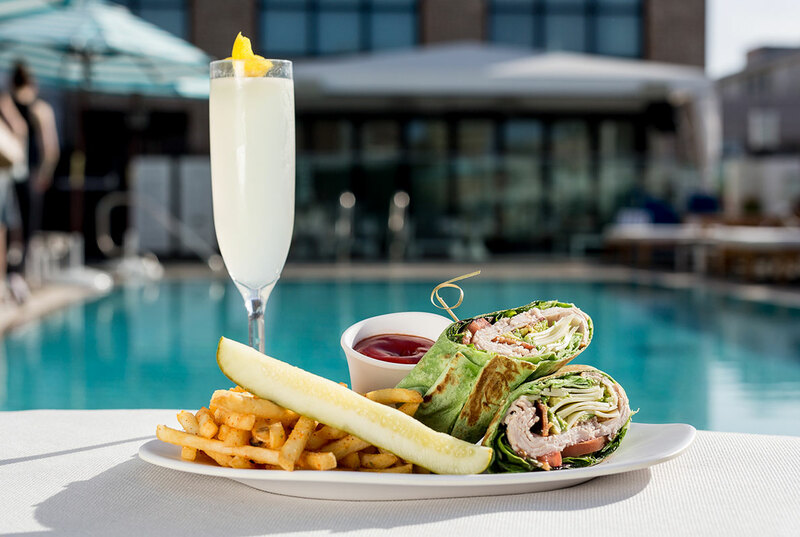 At The Pool House, we always have something going on. 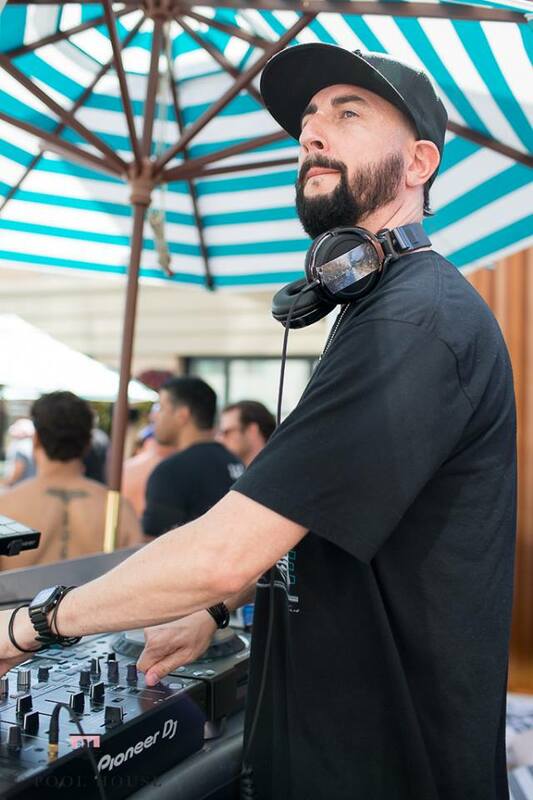 Whether it’s a music set from a local or nationally renowned DJ or our legendary Pool House Sundays, it’s never a dull day. Be sure to follow us on social media to stay updated on our goings-on! San Diego is truly a magical city. It has a natural and cultural bounty that is enjoyable for tourists and locals alike! We hope that whether you’re coming from near or far, that your next San Diego trip will include a getaway to The Pool House. Our unique venue is the perfect place to take advantage of all that San Diego has to offer!